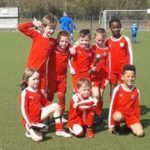 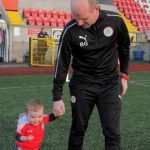 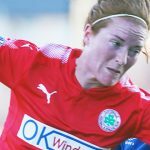 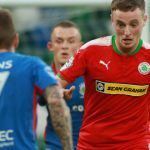 Cliftonville Football Club » Dáithí’s delight! 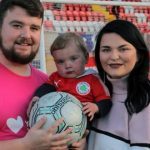 As Organ Donation week draws to a close, Cliftonville Football Club place on record how proud we were to welcome Dáithí Mac Gabhann as our Official Match Partner for Friday’s Danske Bank Premiership encounter with Institute at Solitude. 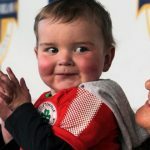 Dáithí is a 21-month-old from Ballymurphy who was born with a very rare and life-threatening congenital heart defect and, with all medical options having been exhausted in his fight against a leak in his tricuspid valve, his parents Máirtín and Seph are trying to raise awareness around organ donation. 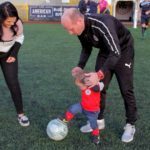 They joined Dáithí at Solitude on Friday when, after his very own pre-match team talk with boss Barry Gray, he stepped inside the changing room to meet the players whom he would soon cheer to a 3-0 victory. 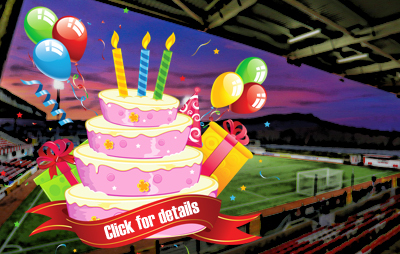 The end of Organ Donation Week doesn’t mean any let up in the search for donors and you can register right now simply by clicking here. 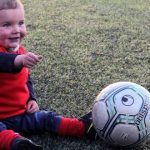 Cliftonville FC are humbled to lend our support to this vital programme and would encourage the Red Army to show their support by spreading awareness and highlighting the family’s appeal via their dedicated Facebook and Twitter platforms.